Here is a project my dear husband and I made together back in June. It’s very very simple, but was my first “wood-working” project since wood shop in the 7th grade (which I believe only ever involved a scroll saw. Definitely not a circular saw or hand drill). My compost pile was pretty much finished and I decided I wanted nothing but the best compost for my front yard raised beds. I looked at various design ideas on the interwebz and decided on something that would fit over my wheelbarrow so that compost could be sifted directly into it. I also wanted something with handles rather than a square or rectangle to make shaking the sifter over the wheelbarrow a bit easier. So, we measured the width of our wheelbarrow to determine how long my pieces with handles would be. 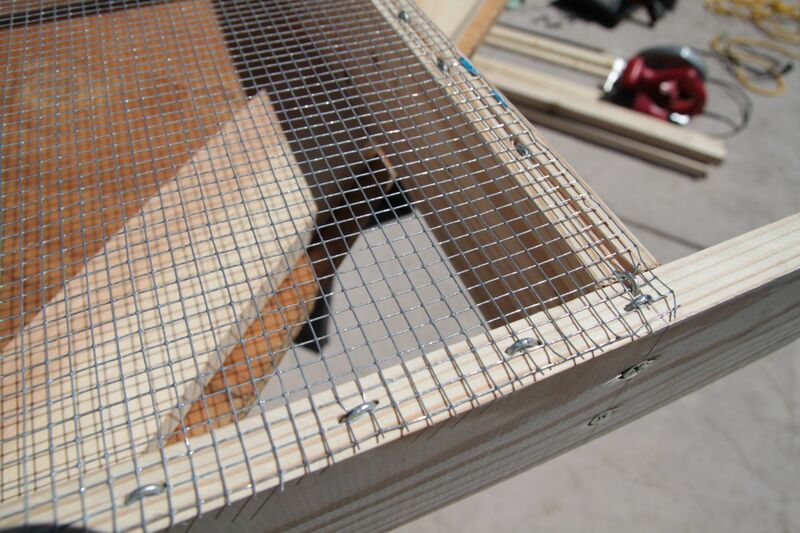 If I were going to make another sifter, I would extend the handles just a bit, especially on the far end, so that they’d be less likely to slip off the wheelbarrow when you’re shaking the sifter around. Live and learn. 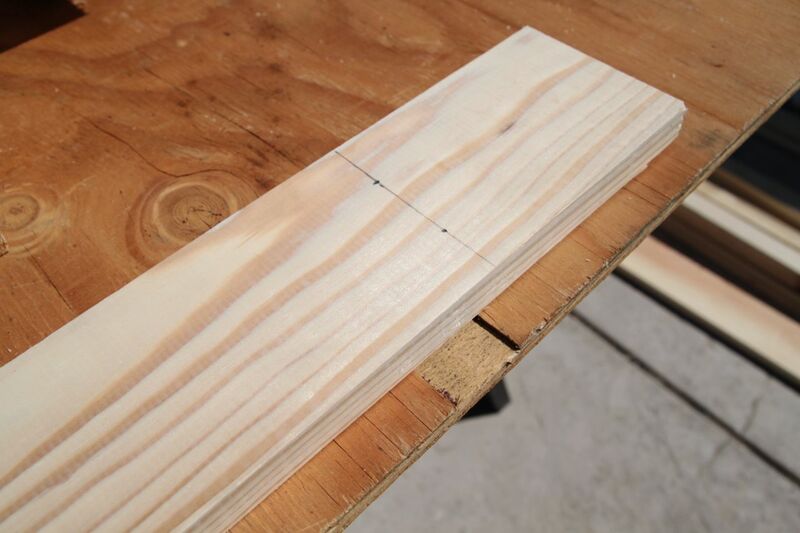 1 package fence staples (like these). These are the kind you hammer in. I wanted something sturdier than a staple gun would provide. We decided on the width of the sifter based on how much wood was left without having to buy an extra piece of wood. Here are the cuts I made. Hubs insisted that I be the one to use the circular saw. I’m glad he did because that was one piece of equipment that completely intimidated me and I’d never wanted to touch it before. Now it seems slightly less scary. Or maybe still scary but less foreign. 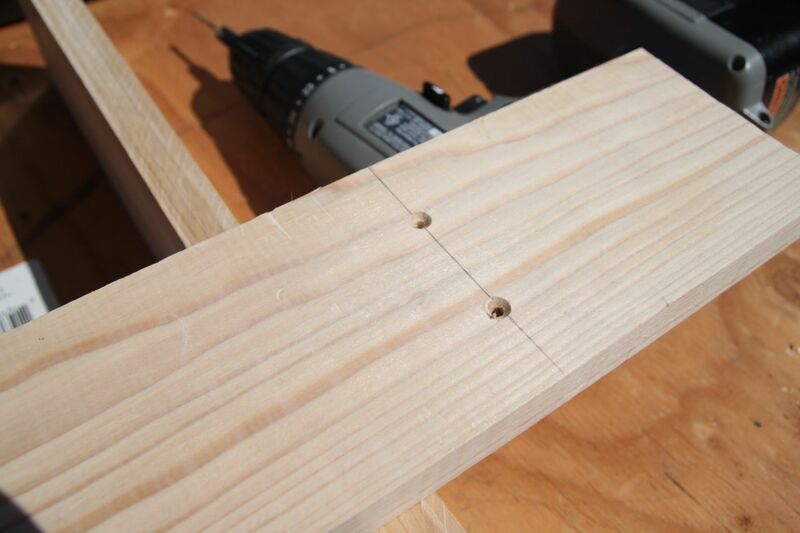 Then I measured and predrilled holes using a countersink drill bit. Once everything was drilled together, we measured and cut the hardware cloth with wire cutters and then hammered it in place with fence staples. I told you this was a simple project. 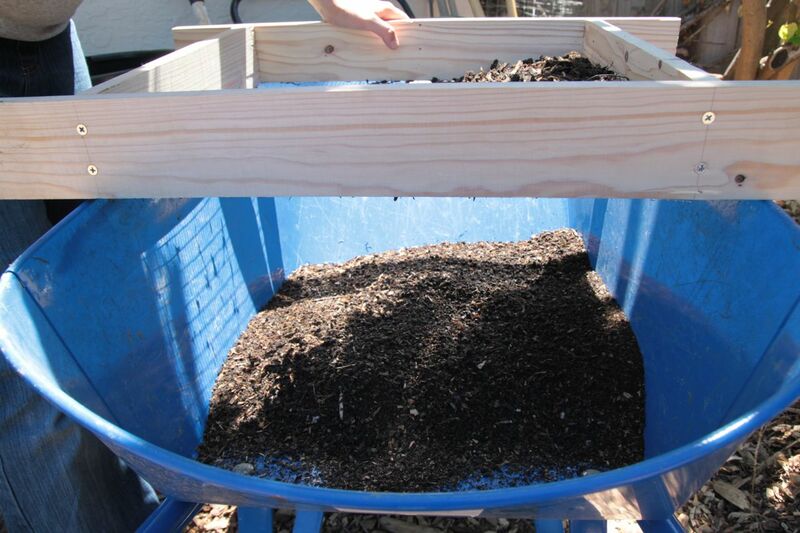 Beautiful black sifted compost! Ready to amend my soil. I threw the larger pieces back into my compost bin for further composting. And there you have it! 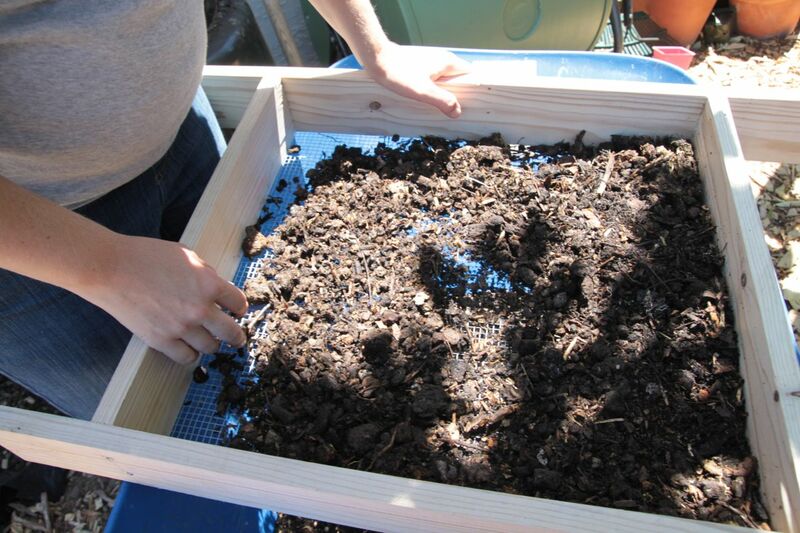 An easy DIY garden project that will really help make your soil rich and beautiful. 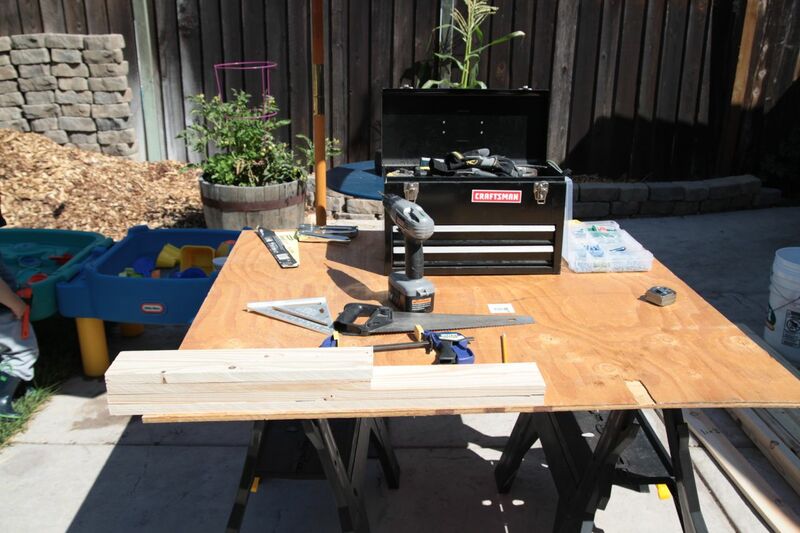 This entry was posted in Garden and tagged DIY project, gardening, Photo Tutorial on August 10, 2013 by seedsowingmama.